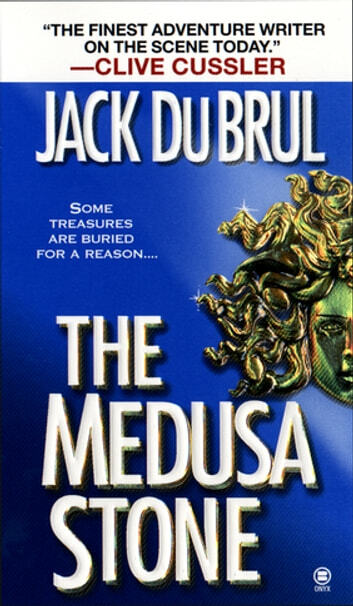 In the tiny African nation of Eritrea, the American spy satellite Medusa has crashed but not before its sensors revealed an underground kimberlite pipeline, the telltale sign of a huge load of diamonds. The mine turns out to be King Solomon's Lost Mine, but with it is a tale of heartbreak---it was children who worked and died in the mine for 400 years, leading to many local myths of curses. It is also practically on the border with a very unfriendly Sudan. Throw in two warring Israeli factions, a hidden monastery guarding an ancient secret, an evil Italian businessman with his own army, and an incredible amount of derring-do and you have one terrific action novel. 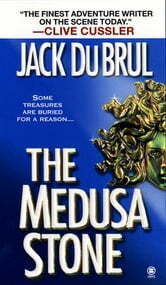 In the Medusa Stone by Jack DuBrul readers will find an intricate tale filled with action and intrigue. DuBrul is only thirty years old but he is already being compared to the very best in the spy and thriller genre. A great read told by a writer with a great dealing. Outstanding! Could not put it down! As a Clive Cussler fan, this was right up my alley! Mercer is my new found action hero. Right up there with Cussler's group. A great read, Du Brul fans will enjoy this as will any suspense thriller reader. If you enjoy descriptive and accurate writing, that gets you really involved in the story then you will love this! an easy read as well, I just wish Du Brul was a more active novelist as his work is very enjoyable.